Blumenkraft – Ireland’s new electronic music sensation. 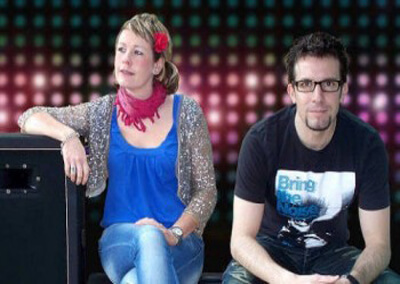 The brainchild of Swiss Producer, Musician and DJ Marc Roosli and his partner, singer-songwriter Kiki; the duo has managed to carve itself a place within the dance music elite with singles being consistently highly placed in the charts. 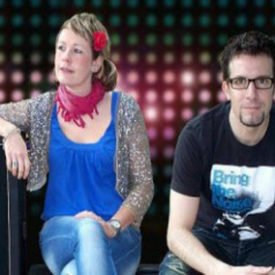 Indeed their second single, electro-pop anthem ‘Fresh Times’, earned them a #8 in the UK dance charts in the summer of 2010 ahead of the likes of Christina Aguilera and Kylie while their more club oriented productions made it to the Beatport downloads Top15 twice over the past 12 months. Blumenkraft’s music is regularly supported by the world DJ elite by names such as Yves Larock, Markus Schutz, Fedde Le Grand, Above & Beyond and has been receiving worldwide radio airplay. Blumenkraft’s genre-crossing productions have an early synth-pop feel to them yet somehow manage to stay fresh – the term ‘future retro’ has often been used to describe their music. In 2011 Blumenkraft was also proud to make it to the Top 30 independent Irish bands in the Irish Daily Mail’s nationwide competition. Marc’s production skills are regularly sought-after to remix artists adding a little Blumenkraft sauce and his tracks can be found on prestigious labels such as Millia, N.E.W.S, Redux or Soltrenz/ Strictly Rhythm as well as on many compilation CDs. Marc is DJing under the pseudonym ‘Marc Von Blumenkraft’ with a highly energetic set which recently brought him to the forefront at the world-famous Oxegen Festival in Ireland. You can also catch Marc on his monthly radio show and podcast featuring the best of progressive house and electro with many exclusive tracks. With their new electro-pop single already signed to Germany, Switzerland, Austria and the Benelux as well as three banging remixes ready to hit the shelves in early 2012 it looks like we haven’t heard the last of Blumenkraft. Two high profile collaborations with top international artists are also currently in progress. More will be revealed very soon. FiO & Blumenkraft – The Night (Mental Madness Rec.) (we’re looking at the possibility of doing a video for this also but don’t say anything to MM yet.